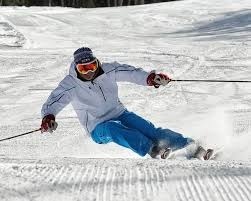 Toggenburg Ski Center offers this SIX week program for anyone over 50 years of age who wants to sharpen up skiing skills and enjoy the camaraderie of peers on the ski hill. trained, experienced, certified instructors. All ability levels are welcome. > Master Trax will begin on Wednesday, January 9, 2019 and will run for six consecutive weeks, each class lasting 1-1/2 hours. > The fee for this fantastic program is $150 ($80 if you have a current Toggenburg or Greek Peak season pass). > The fee includes an all season Wednesday pass. > Videos of your skiing will be critiqued. > Free coffee, tea, and donuts are available. at 9:30 a.m. -- a group meeting at 9:45 a.m. -- on the hill classes begin at 10:00 a.m.